Hilton Smythe would like to welcome to the market this popular garden machinery sales and repair business in Neston, Cheshire. The business was established by our clients` in 2011 and is only now being placed onto the market due to our clients` wish to take a well-earned retirement. The business generates a turnover of approximately £65,000 per annum, with a gross profit of £52,000. 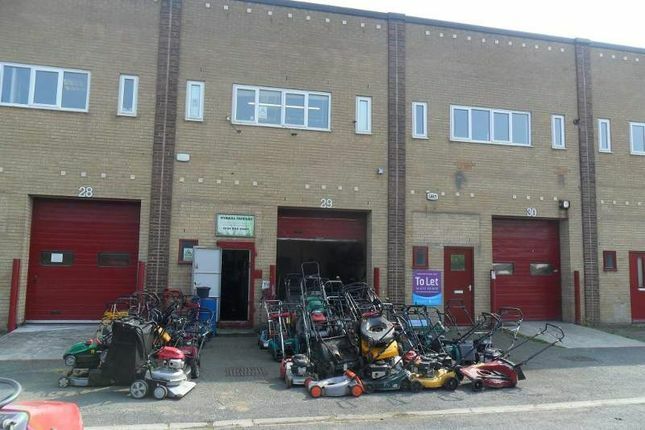 Wirral Mowers is well established in and around the local areas for lawn mower sales, service and repairs of new and used mowers domestic and professional mower. The business has generated a large customer base of 1500 since it started in 2011. The business also benefits from low overheads being a family run business. The business owner also has a liveried van which is not included in the sale but maybe considered by separate negation. We feel the turnover could be increase by possibly moving the business to a larger premises. An advertising campaign via the internet and social media would also prove very beneficial to the business. There is a lot of room for a new owner to expand the business and make it their own. Wirral Mowers is located in Neston, Cheshire. Located on Clayhill Industrial Estate, the business occupies a modern two story unit which benefits from a space in front of the unit to display the machinery. The area has easy access to the A540. The business is only a 30 minute drive away from Liverpool and 15 minutes from Ellesmere Port. The town of Neston also has a train station in the town centre just 5 minutes away. The town and civil parish has a population of circa 15,162 as of 2001. We are advised Leasehold with a rolling lease of £475 per month. The business is family run and managed. The business generates a turnover in the region of £65,000 per annum, with an impressive gross profit of £52,000. Property descriptions and related information displayed on this page, with the exclusion of Running Costs data, are marketing materials provided by Hilton Smythe Commercial, and do not constitute property particulars. Please contact Hilton Smythe Commercial for full details and further information. The Running Costs data displayed on this page are provided by PrimeLocation to give an indication of potential running costs based on various data sources. PrimeLocation does not warrant or accept any responsibility for the accuracy or completeness of the property descriptions, related information or Running Costs data provided here.